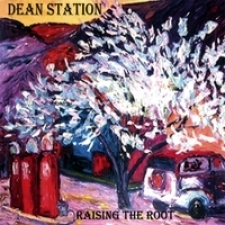 “Raising the Root” by Dean Station is a soothing acoustic collection. Strong and melodic, these tunes are uncommonly passionate and pure. Dean Station’s male and female vocalists form the perfect duo, providing vocals that blend to produce lustrous harmonies. The musicianship throughout the CD is strong, especially the acoustic guitar work. “Flat Footin’ Girl” strays from the general mid-tempo pace present throughout this CD and finds its root in the folk arena. Clever lyrics paint motivational tales of love and triumph. “Pocket Full of Grace” stands out as a heart-felt, soaring ballad while demonstrating Dean Station’s straight-forward, positive lyrical approach. Great production and pacifying acoustic arrangements elevate “Raising the Root” to soaring heights of pleasurable listening.